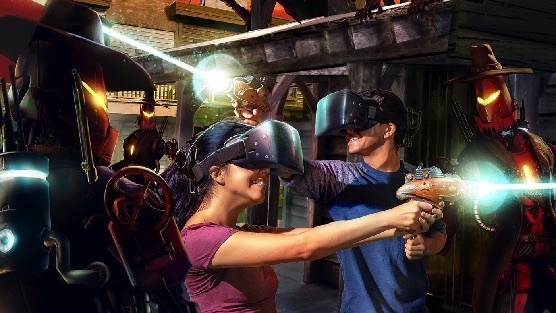 VR Noble is the first VR arcade in the Greater Toronto Area, which provides a premium virtual reality (VR) entertainment experience. It was launched on August 8, 2016, immediately after the first CtrlV opened in Waterloo. 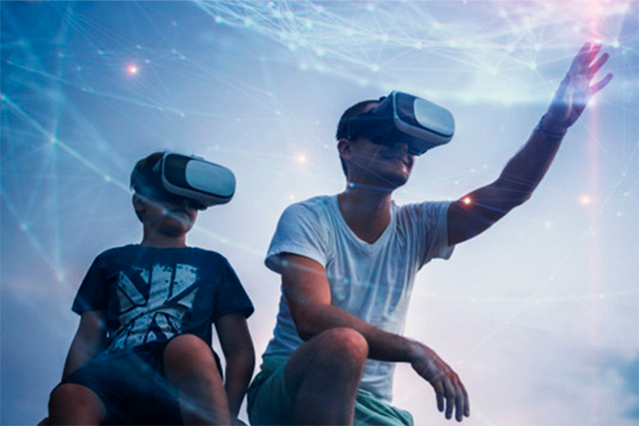 At VR Noble, we ensure that you will have an unforgettable immersive experience that is the best you can get in Canada. We give you a premium quality but not prices. VR Noble is headquartered in Mississauga, Ontario and now expanding to other areas in Ontario. VR Noble is recently renovated and we have new bigger rooms opening now. New devices and services have been added and expanded. VR Noble is also opening a VR theater at the GTA location. Soon you can enjoy breathtaking VR movies at VR Noble. Register here to enter a draw for free VR hour coupon and be the first to know our news. We operate the arcade on an appointment basis. We only accept appointments online. You MUST book a time before physically coming on-site! For online booking, please visit the booking page here for our services, prices, and the contact phone numbers. What Can You Do at VR Noble? Come to play various intense and interactive Virtual reality games where you can experience being in a three-dimensional environment and interact with that environment during a game. VR movies are the movies or videos shot or computer generated in VR environment and format. This is a brand new format of media. VR Noble is producing a series original VR movies to show at the venues. These movies are exclusively showed only in VR Noble theaters. Each of our customers will enjoy an acoustically conditioned and private room in “real” reality when he or she is with friends in virtual reality. There is no other place in Canada that can provide this luxury. You can always feel safe when you adventure in a fantasy world because your friends are sitting beside you and watching you; no strangers can see your awkwardness and clumsiness in VR. Great selection of VR games and videos; the room setup is quite comfortable. It was an eye-opening experience for me and my wife…I will definitely share with my friends! We visited VR Noble today. We are an older couple so this was a great experience for us. Well worth it and the price is great comparing to downtown locations. There is a very clean bathroom in the hallway. The only place provides Various VR experience for both kids and adults. It is a great place for whole family. My kids enjoyed VR games here, got their first experience, and asked for come back. It was a great experience for me,my son and friends. We had lots of fun and wonderful time. Had a great time! They gave us undivided attention to walk us through all the equipment and games. I've been to other VR arcades but haven't received as much attention. The owner is super friendly and helpful, and the VR experience was great. Amazing! A private room to have to ourselves! Super friendly and super fun! Will be back. Great experience. My family had a great time. Definitely we will come back. The games are very impressive. I come with my boyfriend and we had a great experience there. © Copyright VR Noble Inc.